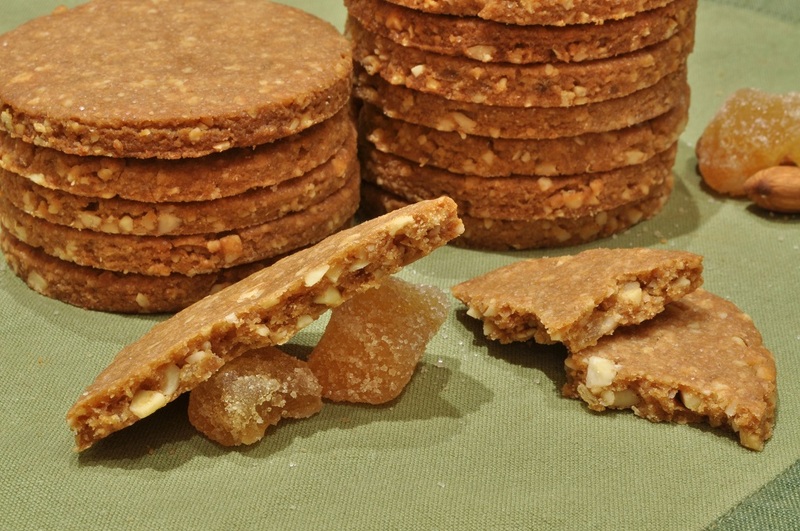 I said once before that my novel-writing life does not belong on this blog; however, I have to talk about it a bit today, in order to explain how these cookies came about. This month, we actually featured my own novel, My Home Grows, on “Reading and Refreshments,” and so I found myself having to develop a recipe for a food mentioned in a novel that I had written myself—rather a unique experience. The basic plotline of my novel is this: fourteen-year-old Nora Beth Douglas, a tomboy from a small ranching town in Colorado, reluctantly undertakes a railway trip cross-country to visit her sophisticated Eastern relatives on Nantucket Island for the summer of 1885. Well, for that train journey, I had her family’s Chinese cook pack some of his signature almond cookies in her basket of provisions. Nora Beth called them “his wonderful almond cookies,” but I didn’t go into any further details than that. 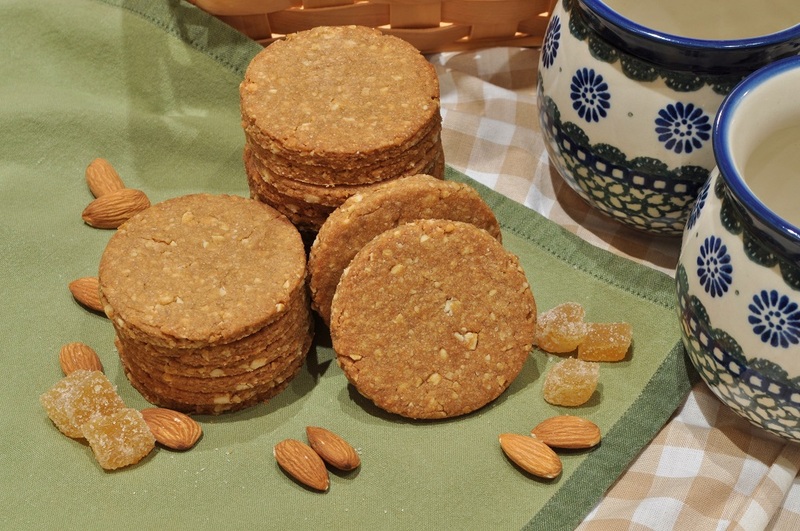 Now I had to make these wonderful cookies for myself, and coming up with a recipe for them was such fun that I wanted to share it here as well. It is also my submission to the spice-themed Biscuit Barrel challenge by Laura of I’d Much Rather Bake Than . . . 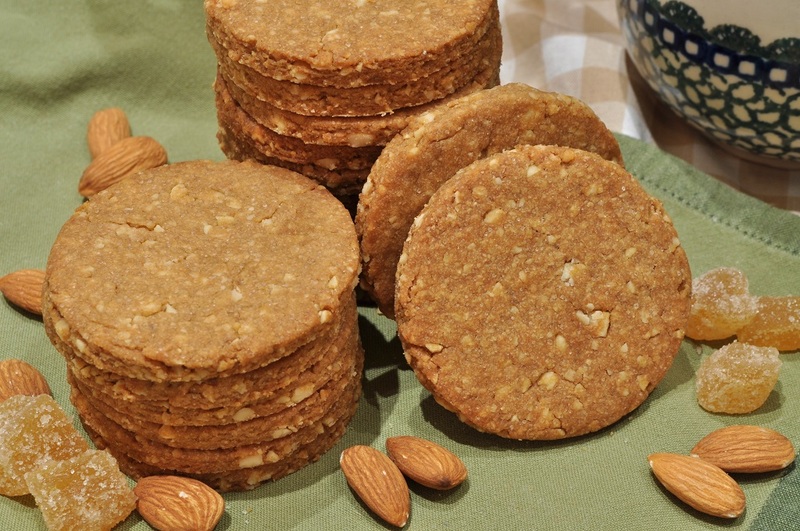 When planning these cookies, almonds were, of course, a given. 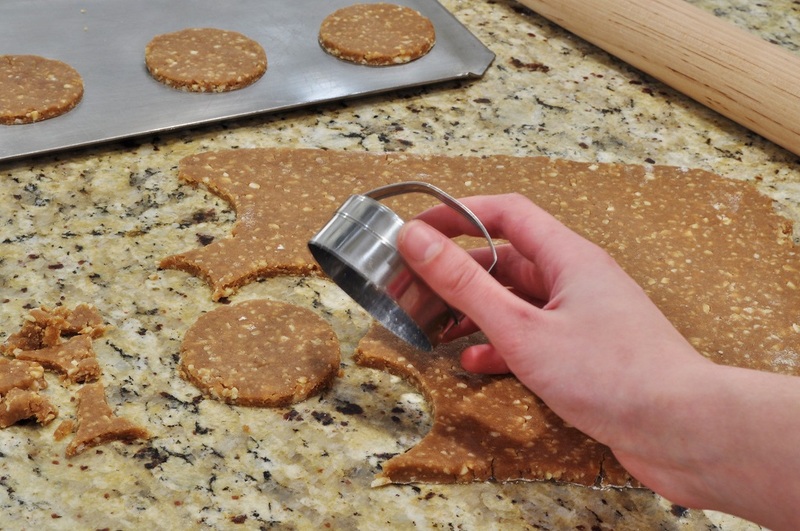 I also knew that I wanted them to be sturdy, flat cookies that would keep well and not break too easily. After all, they supposedly were being taken on a train trip lasting several days. With the type of cookie decided, it was time to get down to the details. I choose to add ginger in two forms, both ground and candied, as it is a spice commonly used in Asian cuisines, as well as one that would have been readily available in North America in 1885. 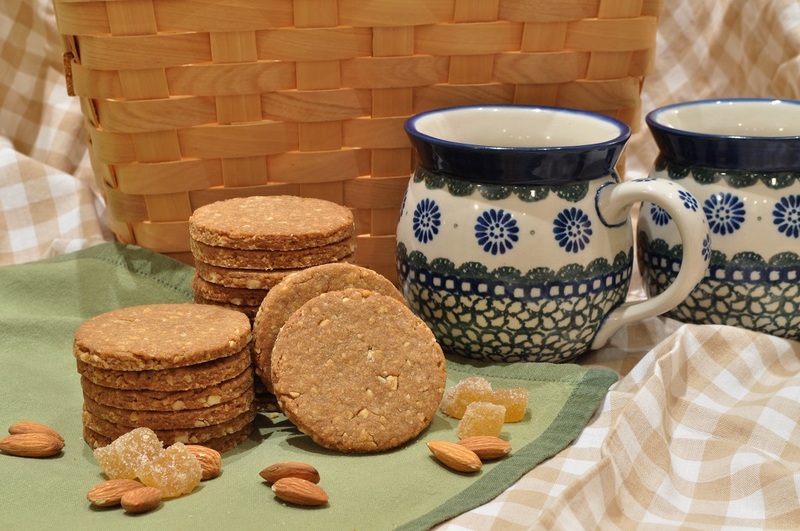 I sweetened the cookies with a combination of molasses and brown sugar: white sugar was much more of a luxury on the frontier back in those days and didn’t seem authentic. I also used part whole-wheat flour to give them a more rustic taste, and flavoured the dough with a little bit of lemon extract, since rose and lemon were still the most popular flavouring agents back then. Considering the prevalence of vanilla in baking today, it’s hard to believe that it didn’t really become mainstream until the last century. But the lemon matches nicely with ginger, so I would have preferred it to vanilla in this case anyway. The biscuits are quick to make, hearty and flavourful, and improve with age. Not many of us have to worry about our provisions lasting on train cars without air conditioning nowadays, but these properties do mean that they ship well. So if you want to send a package of goodies by mail, they’d be a good choice. Preheat the oven to 350°F. Spread the almonds out on a sheet pan and toast until light gold, about five minutes, stirring frequently. Cool and chop very fine. 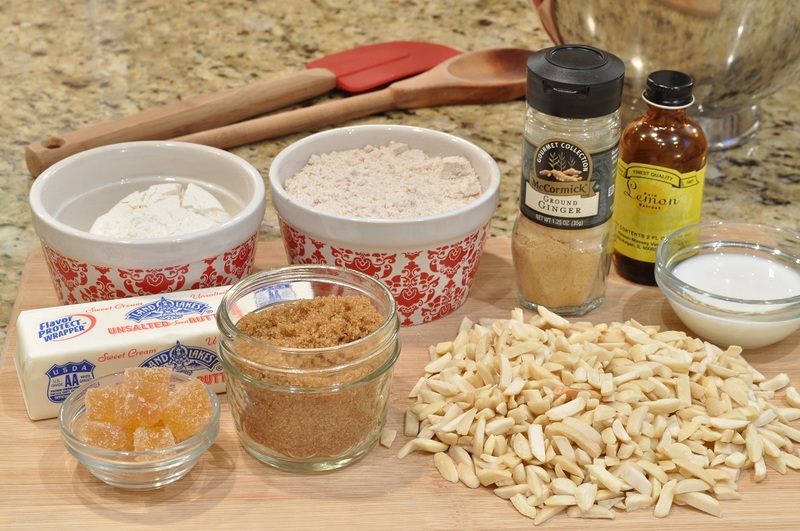 In the bowl of an electric mixer fitted with the paddle attachment, stir together the almonds, whole-wheat flour, all-purpose flour, brown sugar, ground ginger, and candied ginger. 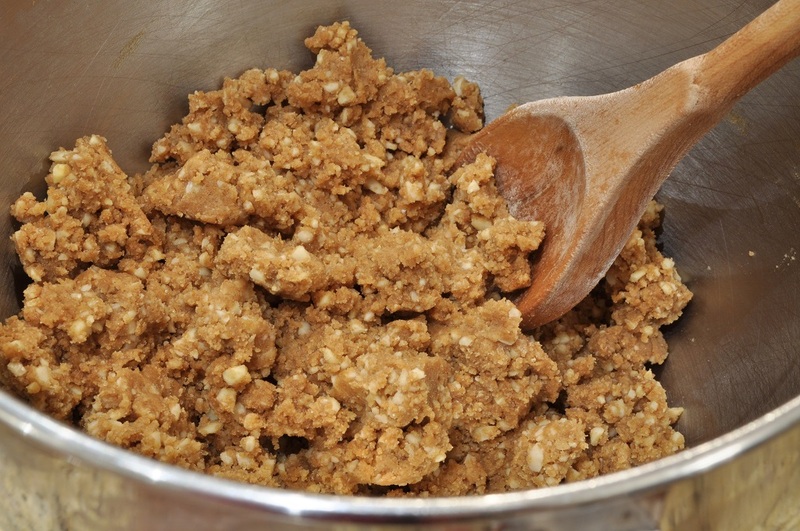 With the mixer on low speed, cut in the cubed butter until the mixture resembles coarse meal. Mix in the lemon extract, milk, and molasses to form a stiff dough. 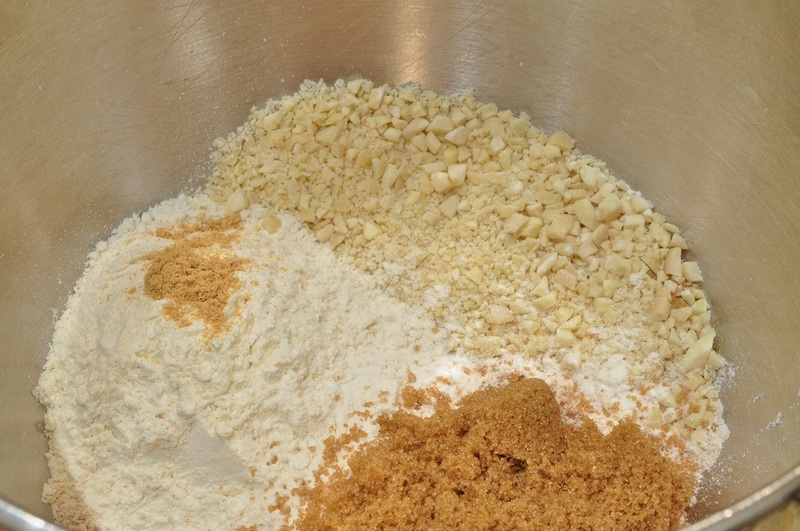 Remove the chilled dough from the refrigerator and place on a lightly floured work surface. Roll out ¼-inch thick and cut into 2 ½-inch rounds. Place the cookies on ungreased baking sheets and bake until the edges are set and browned, about 15 minutes. Let cool on sheet pan for a minute, and then transfer to a wire rack to finish cooling. Mmm, yes. Ginger biscuits are the best!